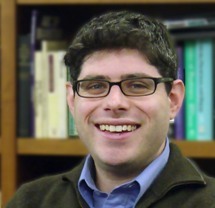 Dr. Aaron Goldenberg leads the Ethics Core for the Institute for Computational Biology and is an Associate Professor in the Department of Bioethics at Case Western Reserve University School of Medicine. He is also the Director of Research for the Department. He is also the Associate Director of the Center for Genetic Research Ethics and Law, a NIH Center of Excellence in Ethical, Legal, and Social Implications Research for the National Human Genome Research Institute. He earned his PhD in Bioethics at Case Western Reserve University. Since joining the faculty at Case Western Reserve University, Dr. Goldenberg’s work has focused on the ethical, legal, and social implications of genetics and genomics in clinical and public health settings. His research program has been grounded by a number of major project areas, including: 1) ethical implications of expanding newborn screening programs; 2) storage and use of perinatal and pediatric biological specimens for future research; 3) implications of genetics and gene-environment interactions for racial/ethnic minorities and other communities experiencing health disparities. Dr. Goldenberg is currently the Co-PI of a project funded by the Health Resources and Services Administration (HRSA) to explore the ethical and programmatic challenges of integrating genomic technology into Newborn Screening Programs. He is also the Principal Investigator on a project funded by the NIH National Human Genome Research Institute to examine parental attitudes regarding the research use of biospecimens collected from newborns. He is also leading a project to assess how genomic advances may impact medically-underserved communities, and how clinicians and public health agencies could better assess biological and social determinants to account for gene-environment interactions. In addition to these scholarly initiatives, Dr. Goldenberg Director for Ethics, Policy and Practice for the National Newborn Screening Clearinghouse, also known as Baby’s First Test. He is a member of the Ethics and Legal Workgroup for the Newborn Screening Translational Research Network and the Legal and Legislative Workgroup for the American Public Health Laboratory Association. He is a member of the Pediatric Task Team for the Global Alliance for Genomics and Health. Brothers, KB, Rivera, SM, Cadigan, RJ, Sharp, RR, Goldenberg, AJ. A Belmont Reboot: Building a Normative Foundation for Human Research in the 21st Century. J Law Med Ethics 2019; 47 (1): 165-172. PubMed PMID:30994072 . Stein, CM, Ponsaran, R, Trapl, ES, Goldenberg, AJ. Correction: Experiences and perspectives on the return of secondary findings among genetic epidemiologists. Genet. Med. 2019; : . PubMed PMID:30792497 . Stein, CM, Ponsaran, R, Trapl, ES, Goldenberg, AJ. Experiences and perspectives on the return of secondary findings among genetic epidemiologists. Genet. Med. 2018; : . PubMed PMID:30467403 . Goldenberg, AJ, Lloyd-Puryear, M, Brosco, JP, Therrell, B, Bush, L, Berry, S, Brower, A, Bonhomme, N, Bowdish, B, Chrysler, D et al.. Including ELSI research questions in newborn screening pilot studies. Genet. Med. 2019; 21 (3): 525-533. PubMed PMID:30100612 . Goldenberg, AJ, Gehrand, AL, Waples, E, Jablonski, M, Hoeynck, B, Raff, H. Effect of a melanocortin type 2 receptor (MC2R) antagonist on the corticosterone response to hypoxia and ACTH stimulation in the neonatal rat. Am. J. Physiol. Regul. Integr. Comp. Physiol. 2018; 315 (1): R128-R133. PubMed PMID:29718699 PubMed Central PMC6087887. Rivera, SM, Brothers, KB, Cadigan, RJ, Harrell, HL, Rothstein, MA, Sharp, RR, Goldenberg, AJ. Modernizing Research Regulations Is Not Enough: It's Time to Think Outside the Regulatory Box. Am J Bioeth 2017; 17 (7): 1-3. PubMed PMID:28661748 PubMed Central PMC6089353. Morello, L, Marshall, PA, Hartmann, CD, Brooks, S, Colón-Zimmermann, K, Goldenberg, AJ. Photo-documentation in the community: reflections on genetics, health and health disparities. Int J Epidemiol 2017; 46 (2): 385-389. PubMed PMID:28338850 PubMed Central PMC6075582. Friedman, JM, Cornel, MC, Goldenberg, AJ, Lister, KJ, Sénécal, K, Vears, DF, Global Alliance for Genomics and Health Regulatory and Ethics Working Group Paediatric Task Team. Genomic newborn screening: public health policy considerations and recommendations. BMC Med Genomics 2017; 10 (1): 9. PubMed PMID:28222731 PubMed Central PMC5320805. Brothers, KB, Goldenberg, AJ. Ethical and legal considerations for pediatric biobank consent: current and future perspectives. Per Med 2016; 13 (6): 597-607. PubMed PMID:29754545 .